There is nothing that can turn a good day to bad faster than coming home and trying to feed your child dinner (emphasis on the trying.) It can be a very frustrating experience if your child has limited foods they are willing to eat or if they liked something last week only to absolutely hate it this week. As parents, we want what is best for our children in all things, including a healthy diet. But how do you go about expanding your child’s palate beyond chicken fingers and yogurt? As a parent of an almost 8-year-old boy, A.J., I’ve made my share of missteps, and tears have been shed at our dinner table in the early years (by us both), but we’ve come to an agreement of sorts. Experts in the field of nutrition will tell you that it can take up to thirteen times of trying a new food before someone will accept it. Thirteen times! While that level of persistence can seem daunting, familiarity does breed acceptance. The mantra (my husband and I don’t call it a rule) in our household is, “We only ask that you try it”. If A.J. doesn’t like something on his plate, we ask him to eat what he does like, and he can have a snack before bed if he’s still hungry. If your child is between four and eight, the perennial parents’ friend Dr. Seuss’ Green Eggs and Ham can be an effective tool for expanding your child’s palate via the “just try it” method, but in our house, nothing beats modeling the behavior, even though this prompts A.J. to mischievously ask his dad to give olives one more try—because you never know when you might like them. While my husband is not happy to eat olives every now again (he still loathes them), it has reinforced the “trying” attitude with great effect. I count myself lucky that the one food I have an aversion to (truffle oil) is not something we keep in the house! 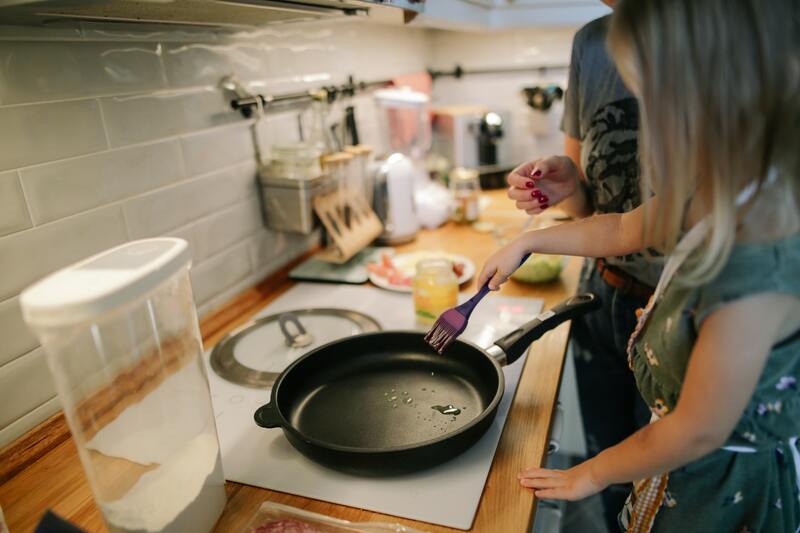 Kids love adventure and making dinnertime a fun experience can really open up their willingness to try new things, making it much easier to expand your child’s palate. Just getting kids involved can make a huge difference. Our co-op has little kids’ shopping carts, and while using one makes the shopping a little s-l-o-w-e-r, our son loves pushing it around and filling it up. It has been designated the “produce only” cart, the “only new things to try” cart and even the “A.J.’s lunchbox” cart. 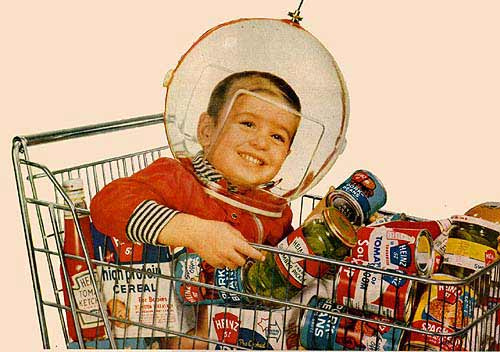 Allowing him to pick out items and place them in his own cart gives him a sense of ownership and pride. He always seems more willing to try something new when he picks it out. Once A.J. picks something out to try, we like to keep the positive momentum going by involving him in meal prep. Not all kids like to be involved in the kitchen, and sometimes he doesn’t either, but when he’s up for it, we seize the moment. 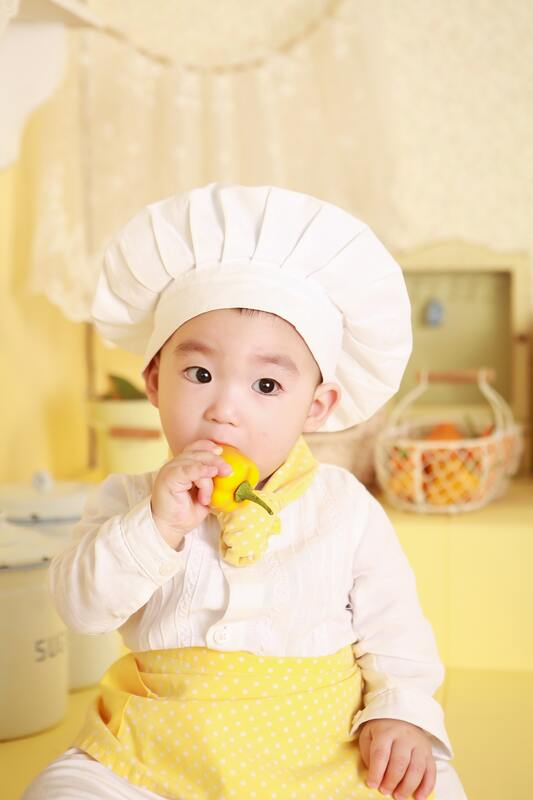 Involving your child in food decisions, modeling “just try it” behavior, creating opportunities for your child to try new foods and letting them help with food prep are all great ways to expand your child’s palate. This approach is working most of the time with A.J. so far, and I hope it continues long into the future as there are so many wonderful foods to taste and explore!